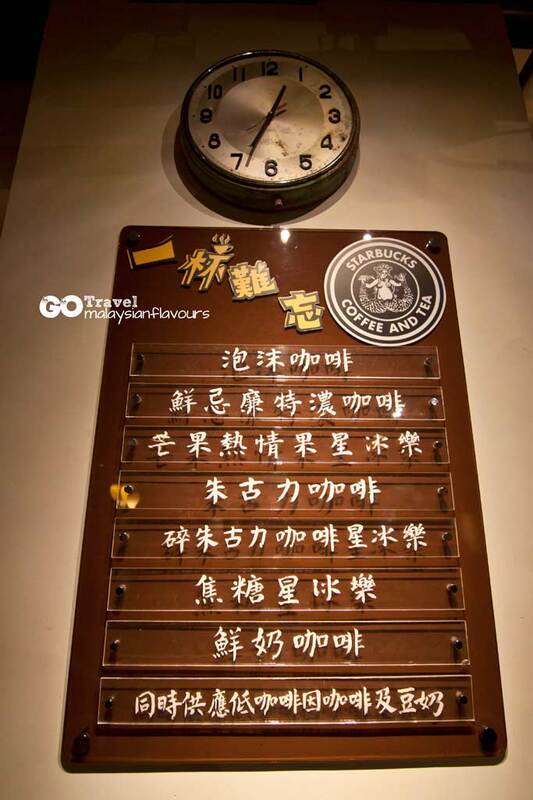 The first Starbucks Hong Kong was opened in year 2000 and within years, there are already more than 100 outlets crammed in this place. 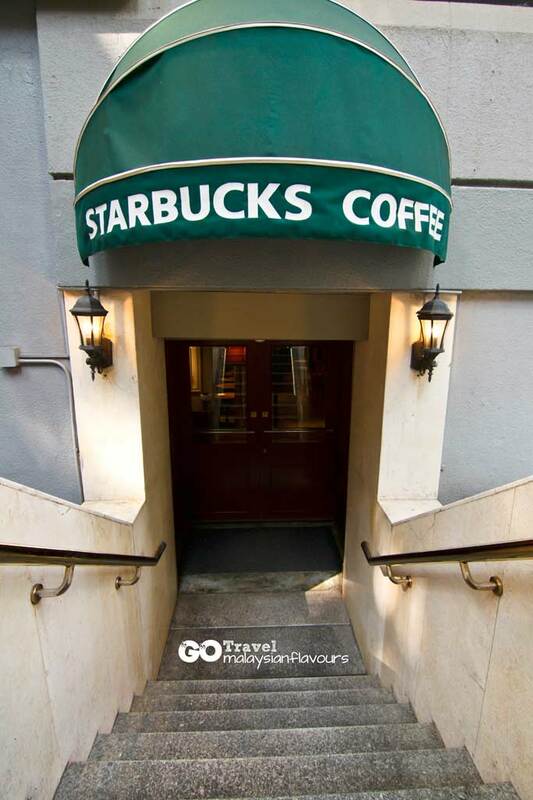 A sign that shows Starbucks is doing well here. 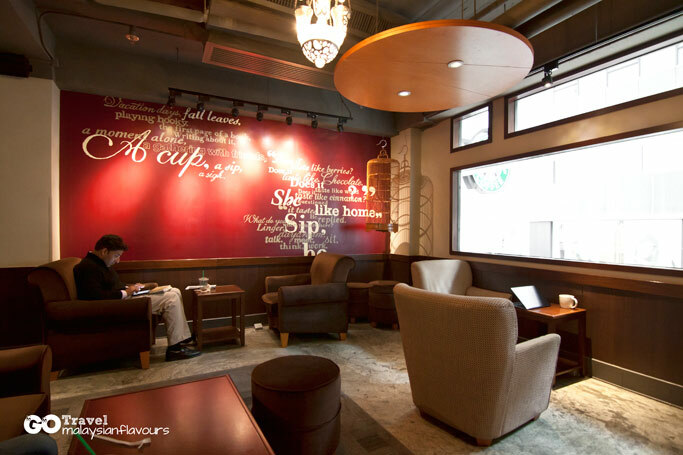 But apart from having only continuous increase in branch numbers, Starbucks constantly improve their service, quality, as well as creativity. 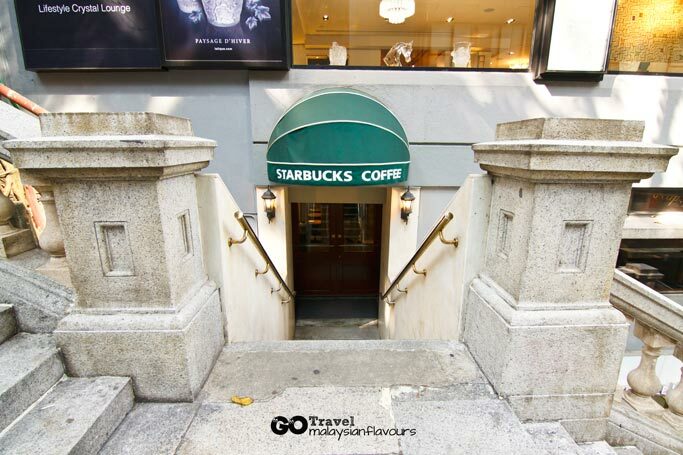 So in 2009, their creativity has successfully bring the born of Duddell Street Starbucks Bing Sutt in Central, the World’s first ever Starbucks store to incorporate a “BING SUTT” (冰室，Ice House) corner to appreciate the rich heritage of Hong Kong, both past and present. 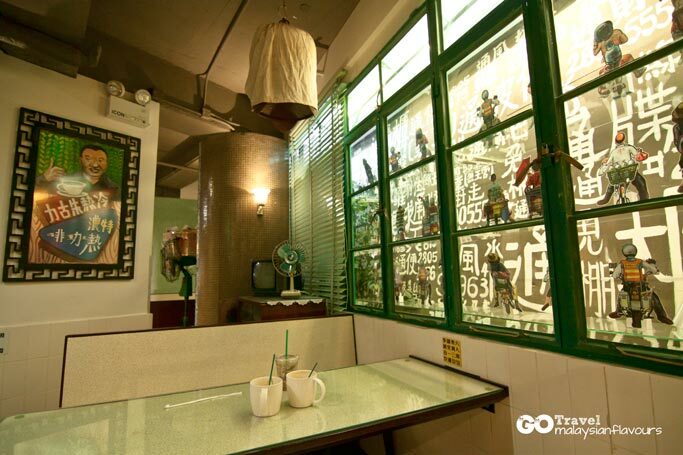 Not wanting to miss this special Starbucks Bing Sutt, we made it into our to-do-list while travelling to Hong Kong. 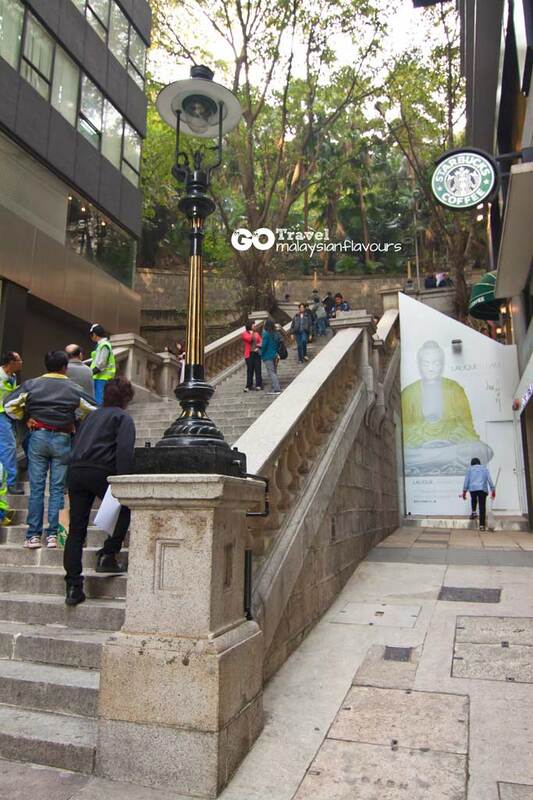 This concept cafe is located in the middle of stone steps at Duddell Street, Central which is also another tourist attraction in Hong Kong. 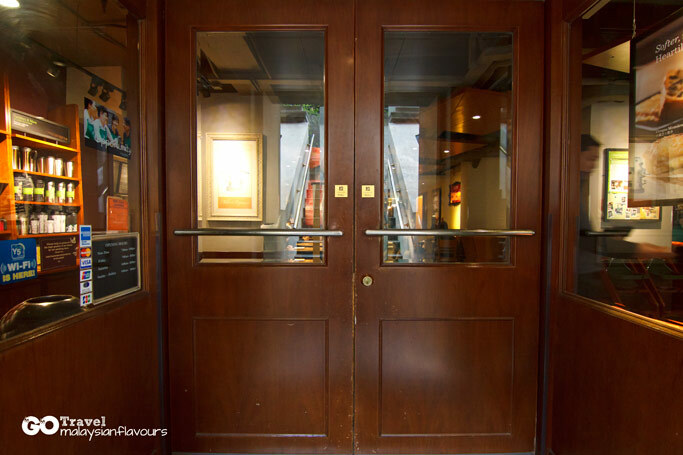 We walked up the street steps and pushed the wooden door into this most awaited Starbucks Bing Sutt, found nothing special at the front seating area, as there are just the usual modern contemporary signature design of Starbucks. 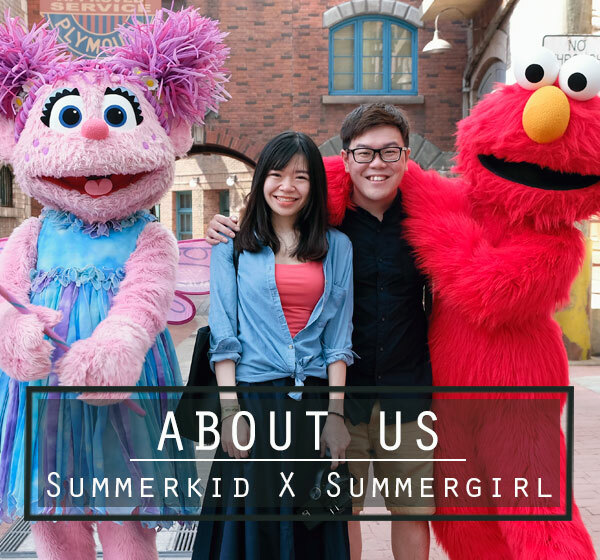 As we stepped into the inner area, we started to feel a scene straight out of the ’50s, ’60s and 70s of Hong Kong. 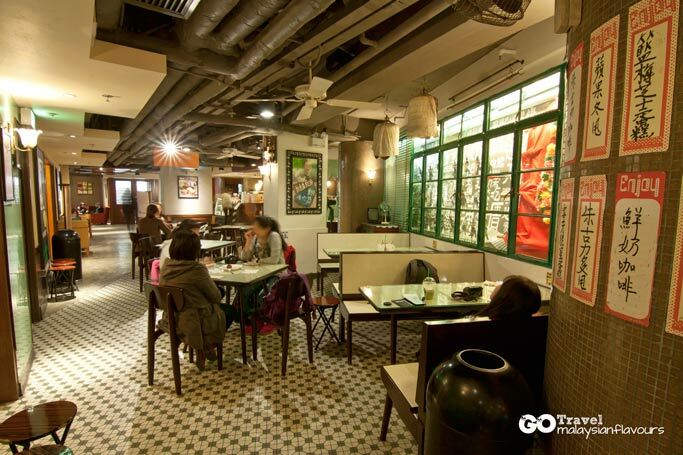 Old fashion patterned floor tiles, marble tables and wooden chairs, handwritten menus on walls and pillars, birdcages hanged from ceiling, vintage posters, retro light fixtures, green colour steel window frame, etc., all these had given us a change to drown into the postwar age where Starbucks Bing Sutt was still popular in Hong Kong, those days where Summergirl and Summerkid were not even born yet. 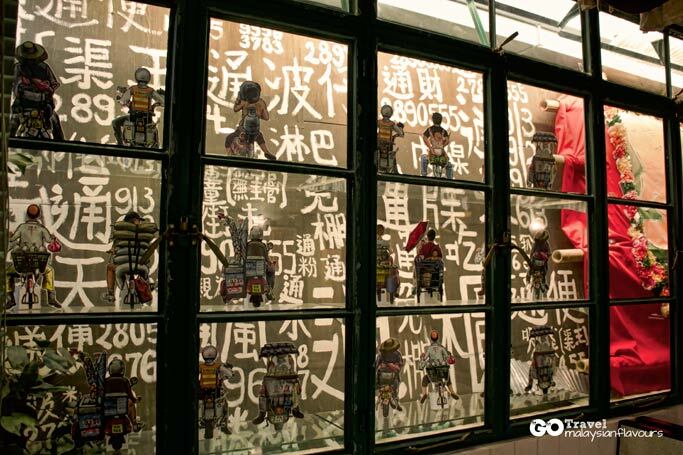 It is also a pleasure to know that this innovation is a collaboration with Douglas Young Goods of Desire (G.O.D)-Hong Kong’s leading home and lifestyle design brand that is known for their tongue in cheek interpretation of Hong Kong culture, which is also our favourite retail store in Hong Kong. Bits and pieces which are all “very-Goods Of Desire (G.O.D)”. 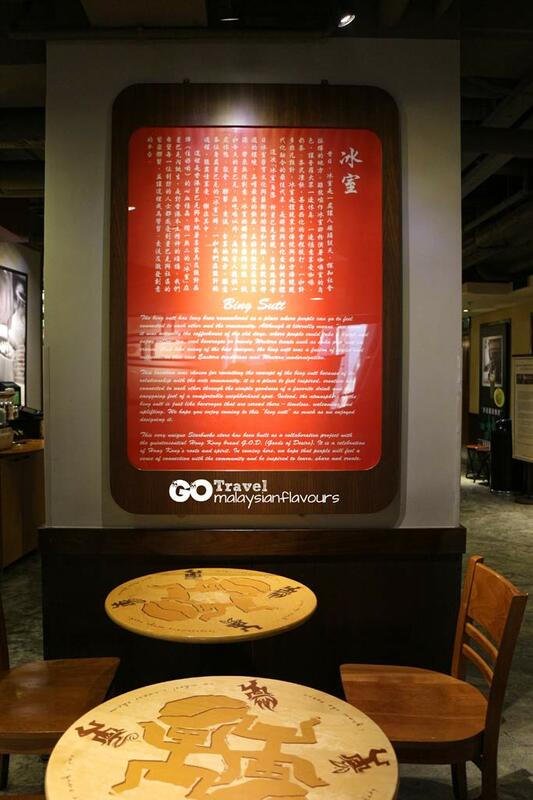 What is so special about Starbucks Bing Sutt, until this global coffee chain is inspired to have one of their outlets having this design? Read on. 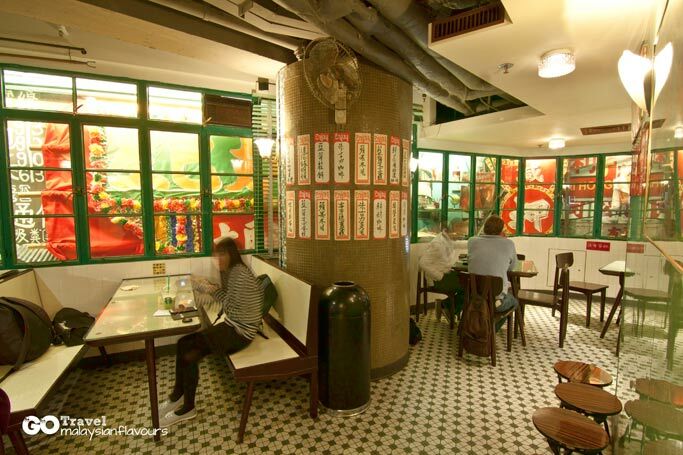 Bing Sutt (冰室，literally means ice house) was easily available in Hong Kong from ’50 through ’70s, but they had gradually disappear along with the modernity. Now, less than 20 are left in Hong Kong. Those days, Bing Sutt was an informal kind of coffee shop that combined local treats and modern Western delights together such as sandwiches, French toast, soup pastas, iced drink and ice cream. 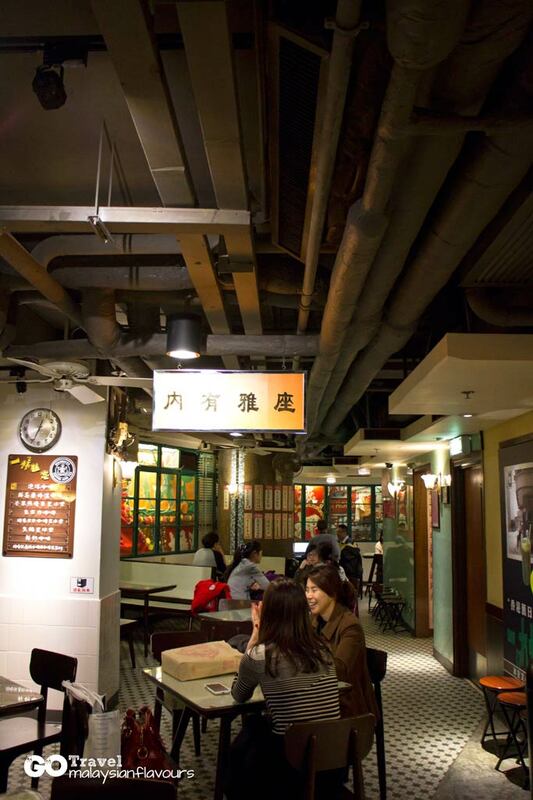 People from all walks of life gather here for dining, break time, and chit-chatting. Bing Sutt went into peak in the year of 1971, and never again after. 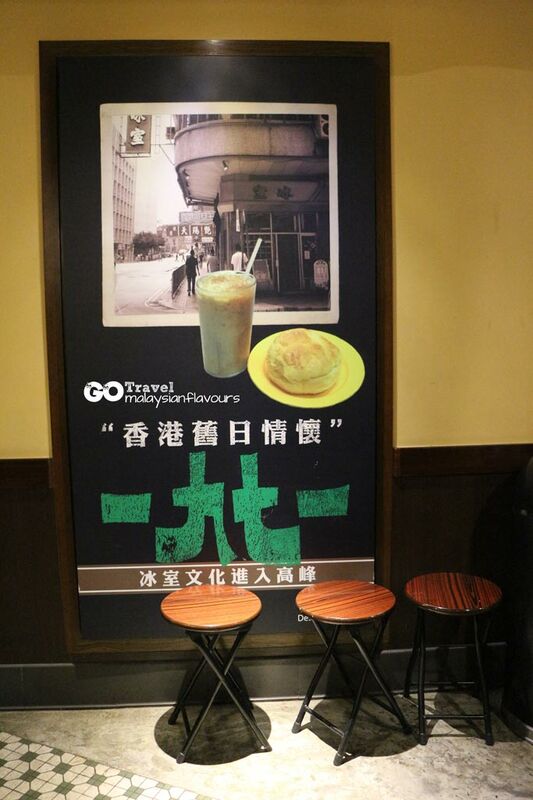 While Starbucks Bing Sutt has resembled the interior of vintage bing sutt, their food and beverage still remain the same as other Starbuck chain, with only a few speciality such as coffee-flavoured egg tarts, pineapple buns and swiss rolls to set off the atmosphere. 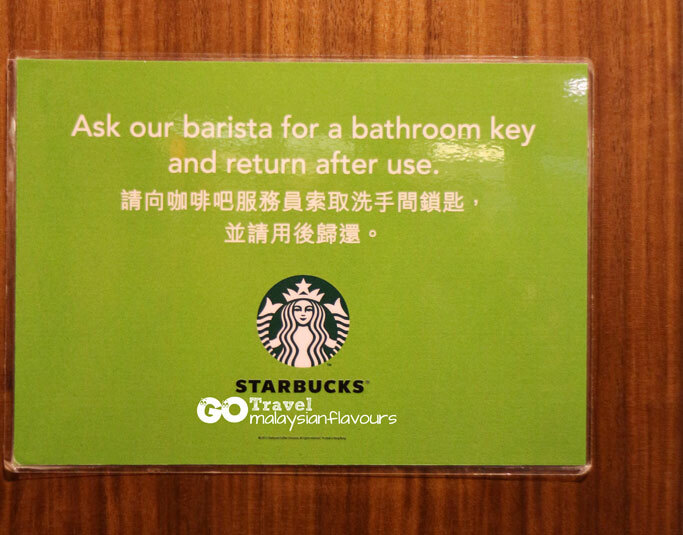 If you wished to go washroom, do get the washroom key from barista at the front counter. 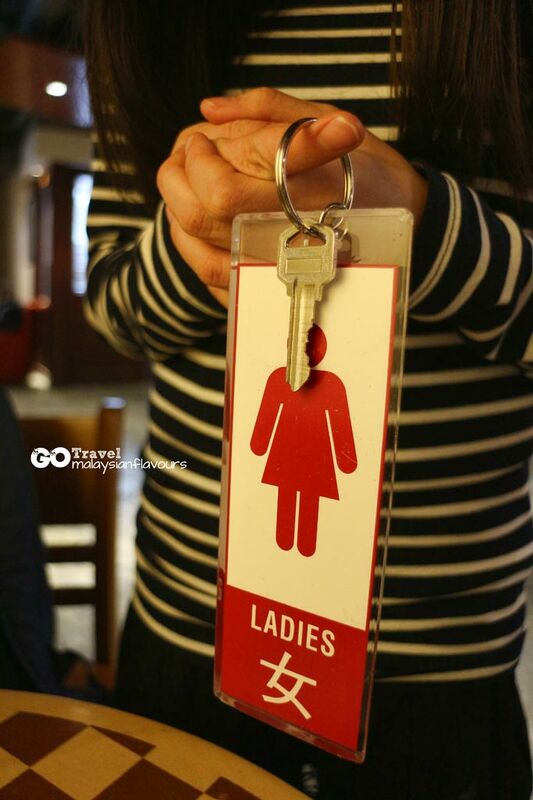 The-very-interesting-key to “access” the washroom. We still had some time to kill after visiting Starbucks Bing Sutt, so we took a stroll along this little Duddell Street. 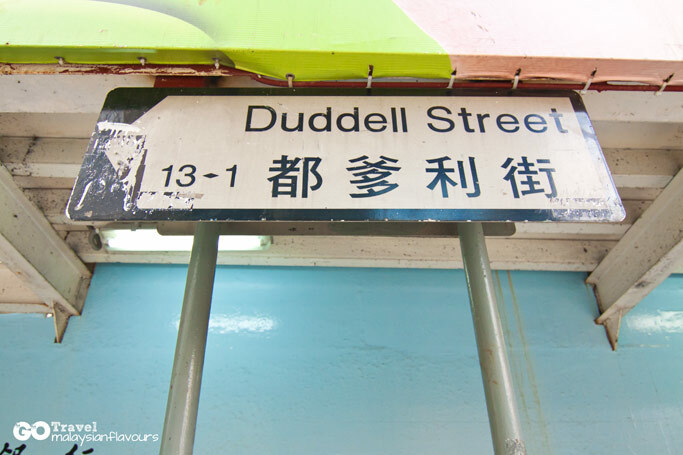 This historical street is named after George and Frederick Duddell, covers from Ice House Street to Queen’s Road Central. At the Southern end of Duddell Street is a stretch of granite steps built in the year of 1975 and 1889. Balustrades at top and bottom of the steps are surmounted with gas lamps, which are also the last four gas lamp in Hong Kong. These street lamps don’t serve just as tourist attraction, but still operating as street lamps powered by gas, bringing a huge contrary to Hong Kong city street lamps which are now all lighten up using electricity. Align at MTR Central Station, exit D1. 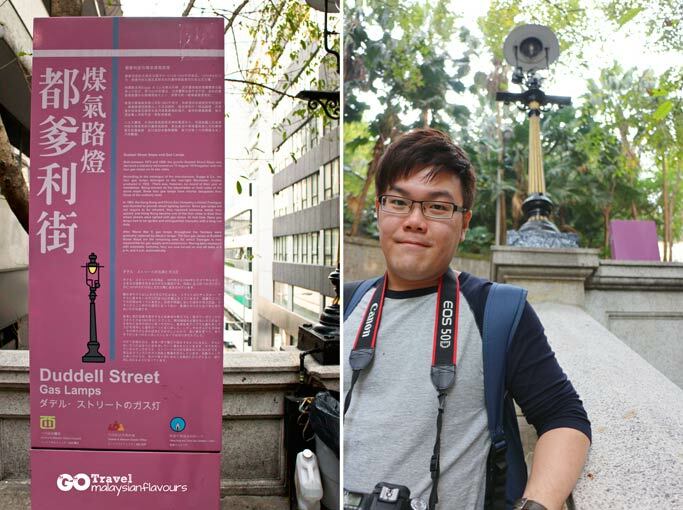 Walk through Peddar Street to Queen’s Road Central, then turn left to Duddell Street once you saw Longchamp designer shop.